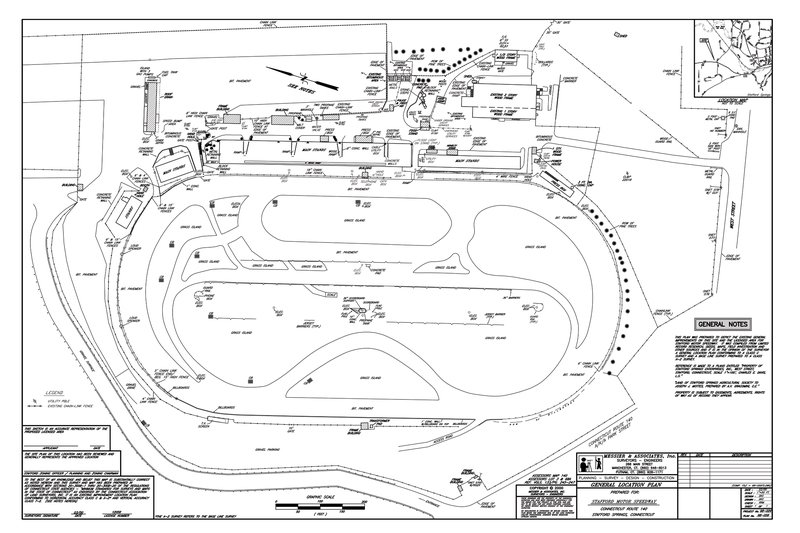 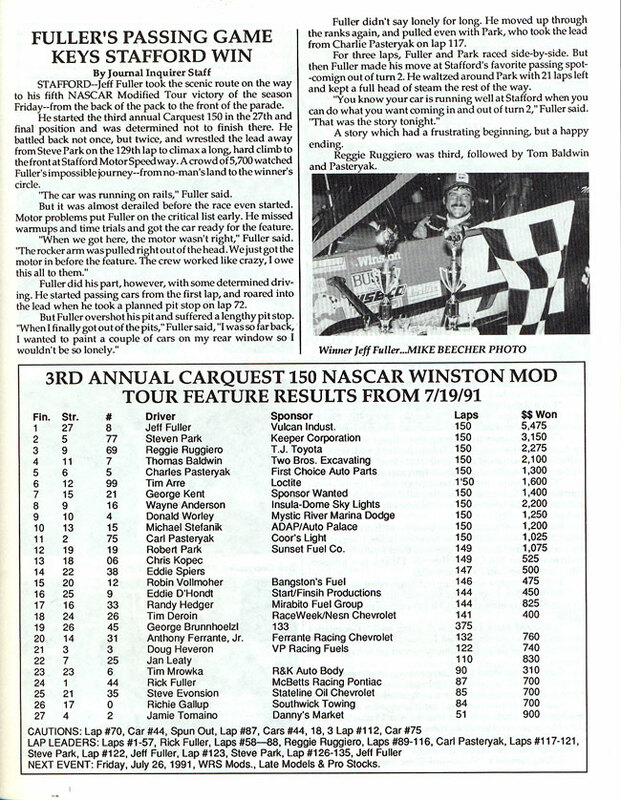 1991 was the seventh season of the Stafford Motor Speedway / CARQUEST Auto Parts relationship. 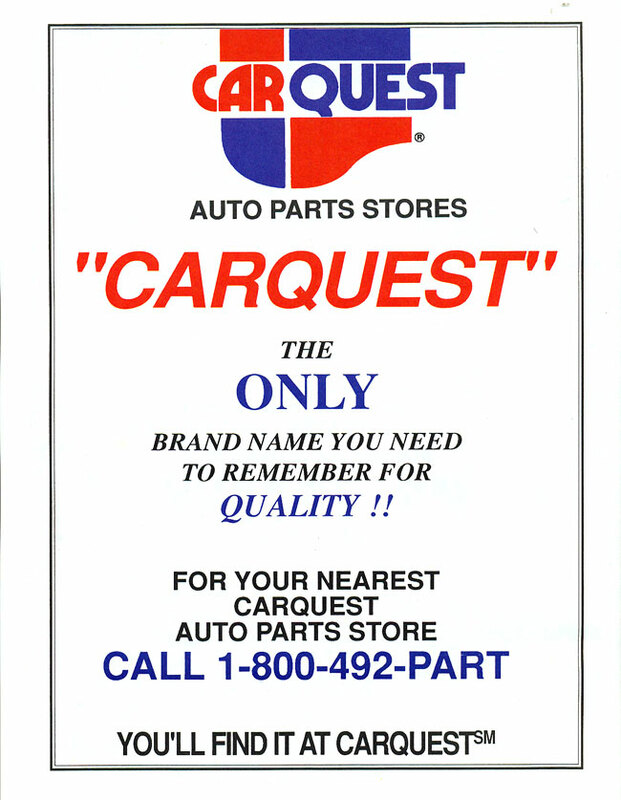 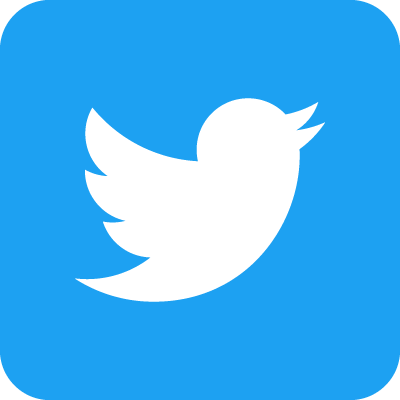 CARQUEST Auto Parts was once again the title sponsor of the CARQUEST 150 Whelen Modified Tour event for the third consecutive season, and they were also the title sponsor of the CARQUEST 150 for the NASCAR K & N Pro East Series, known then as the NASCAR Busch North Series. 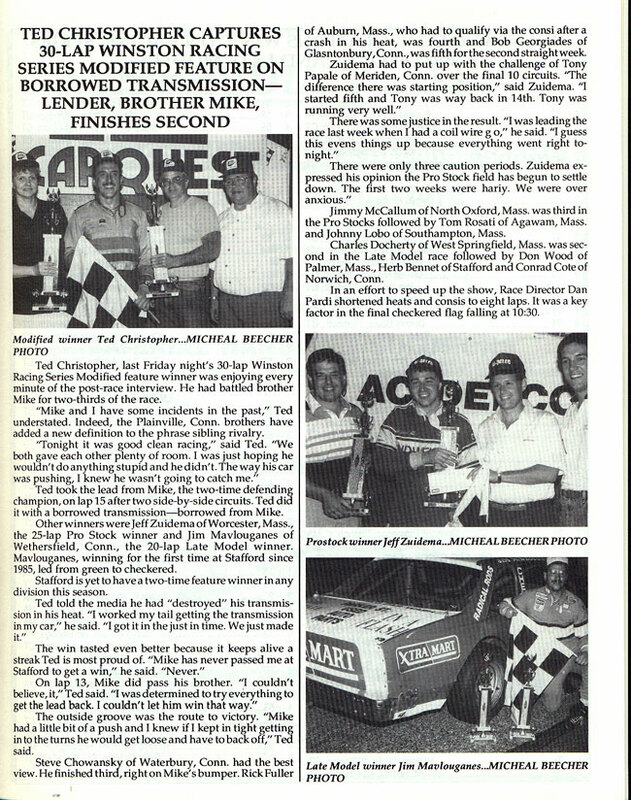 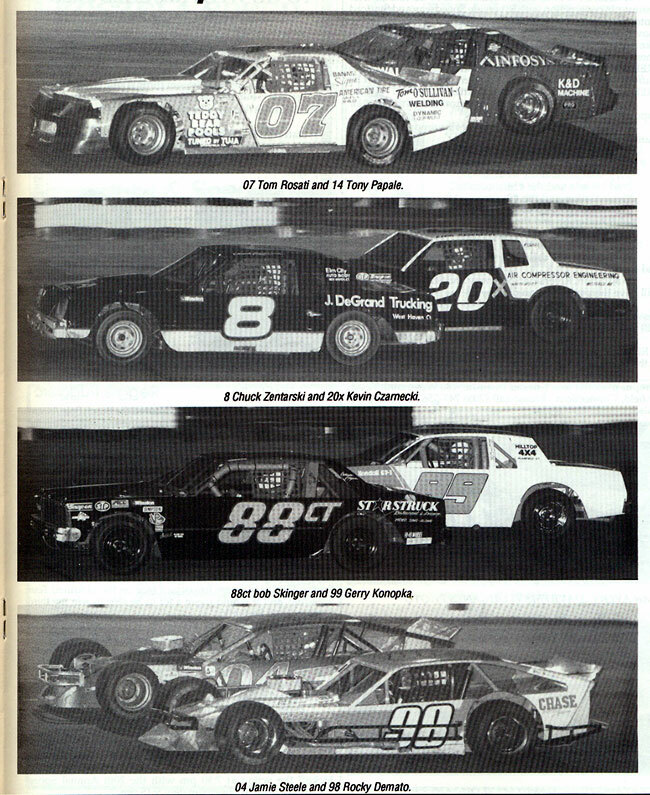 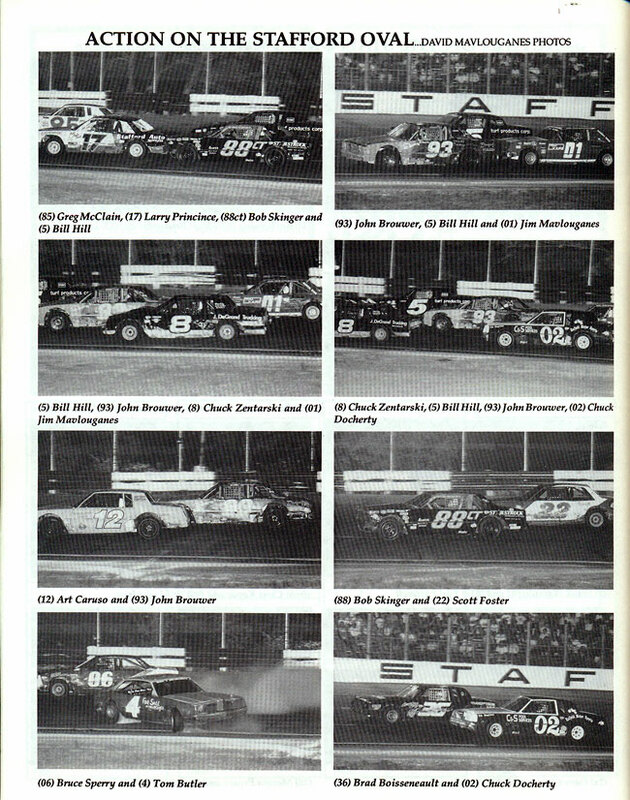 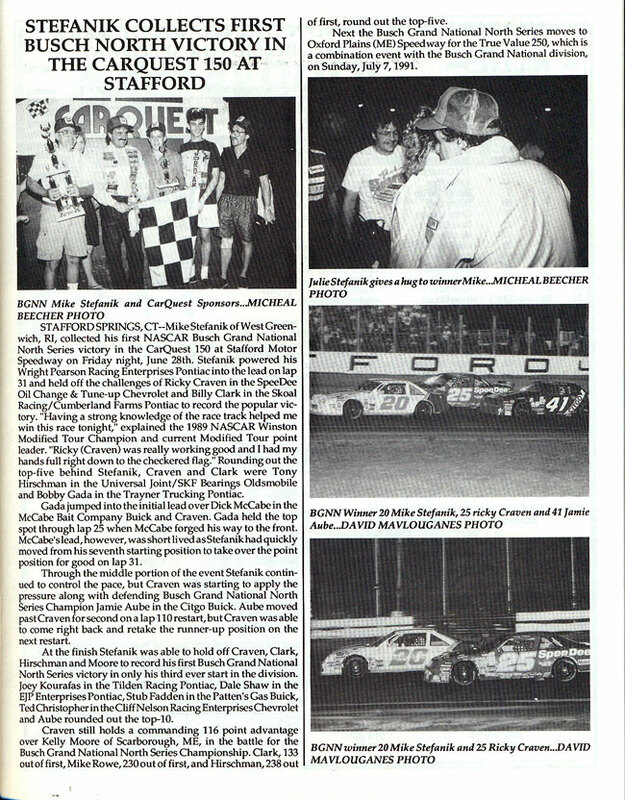 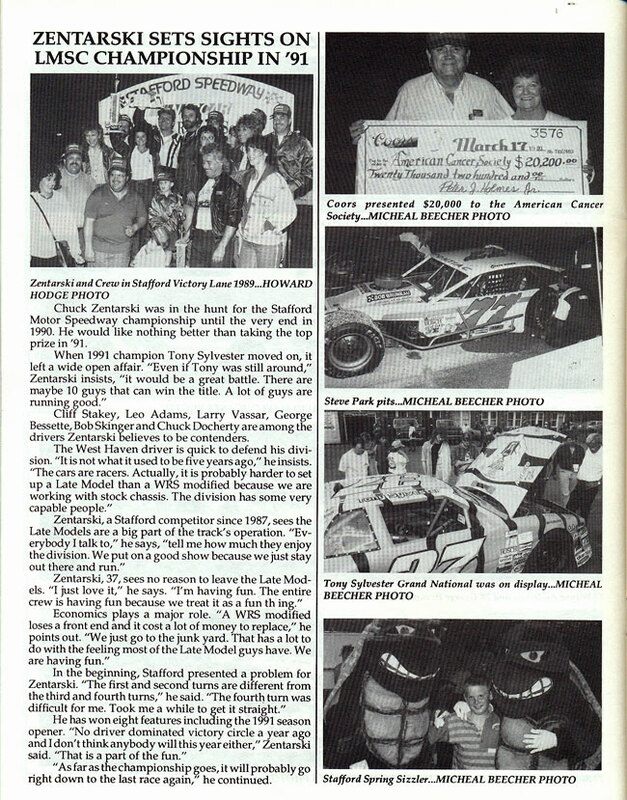 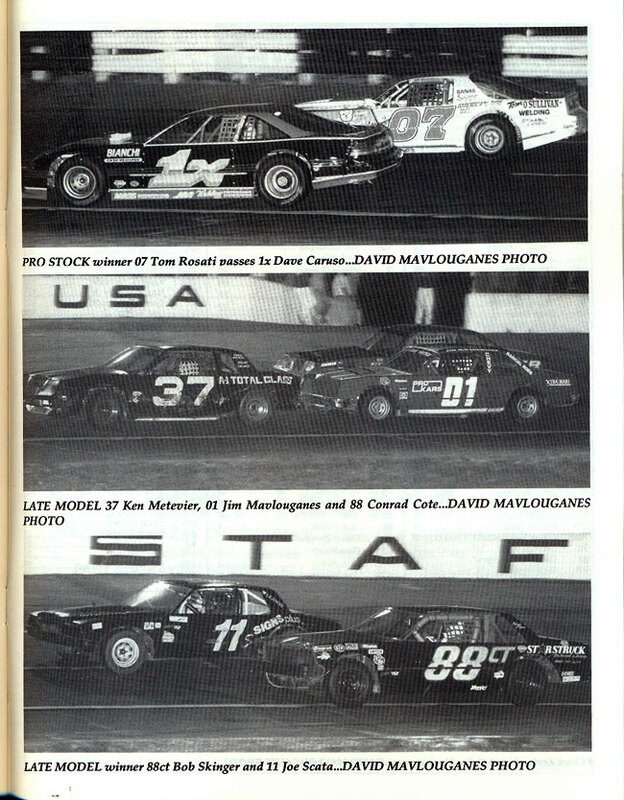 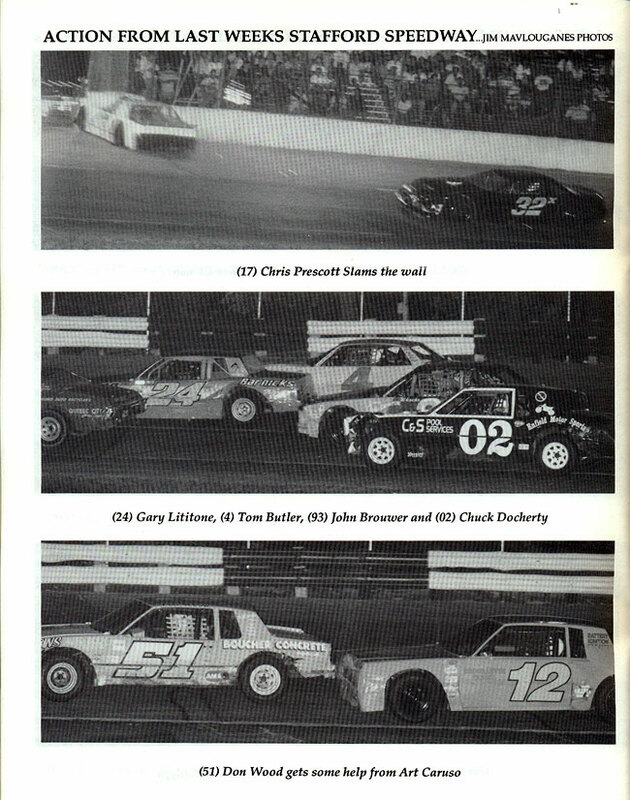 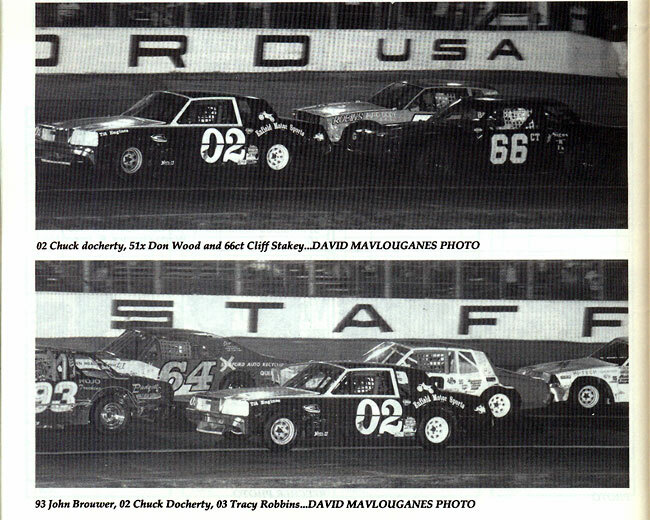 The Busch North Series had made a visit to SMS in 1987 and did not return to Stafford until 1991 with the support of CARQUEST Auto Parts. 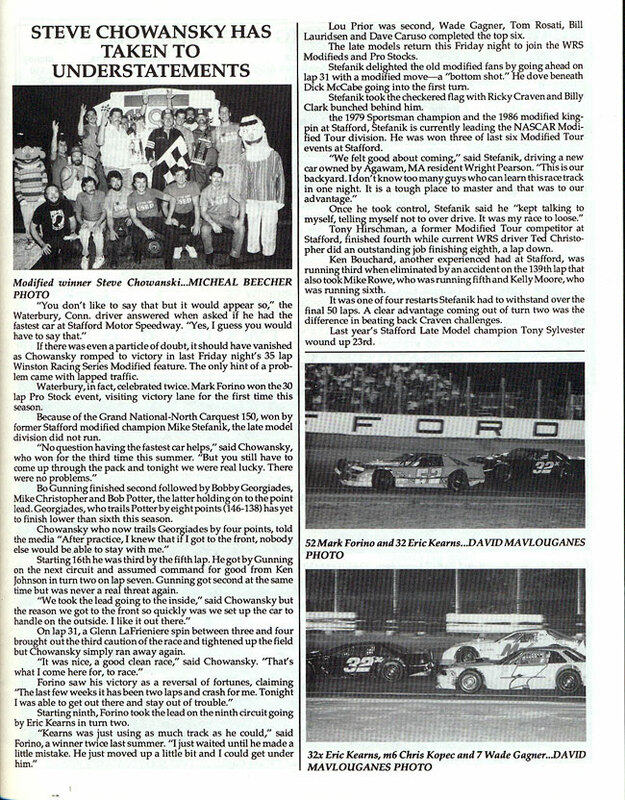 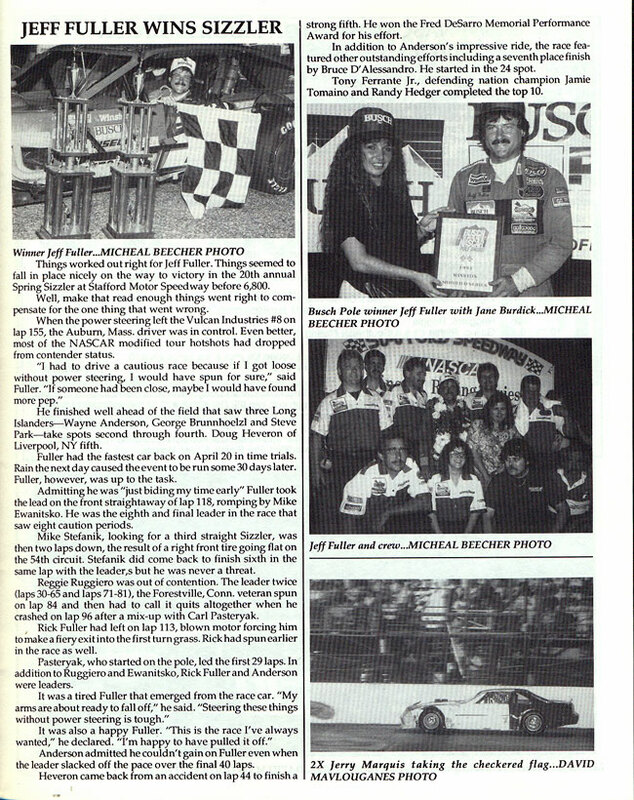 Mike Stefanik came home the winner that night, matching his victory in the Inaugural CARQUEST 125 event for the Whelen Modified Tour in 1989 at Stafford. 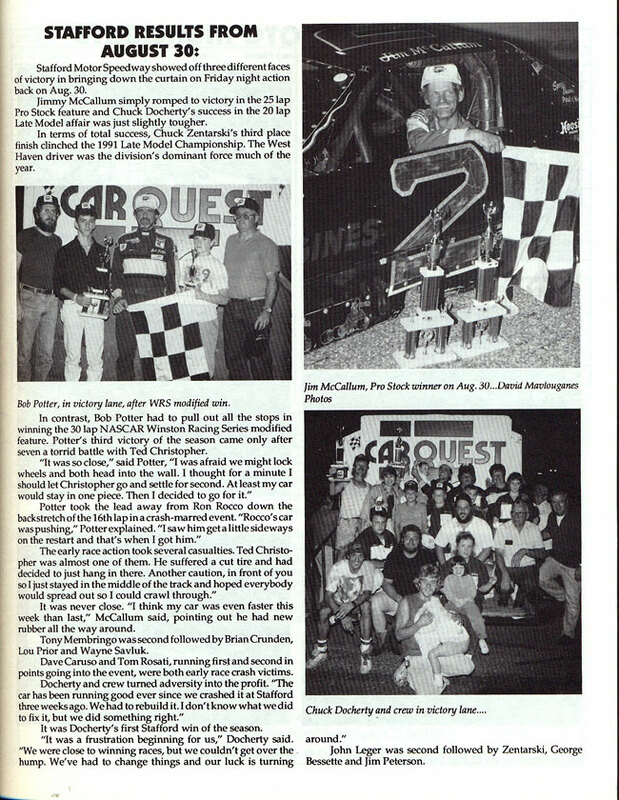 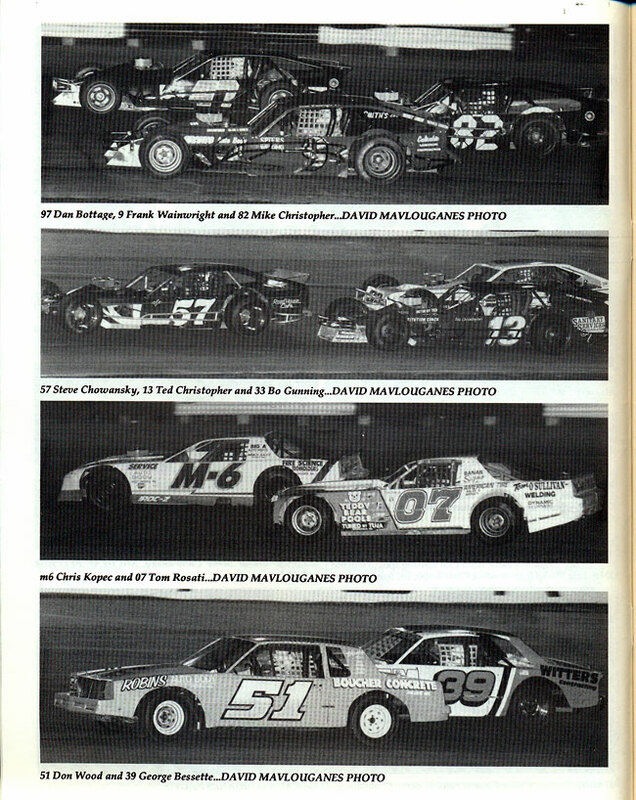 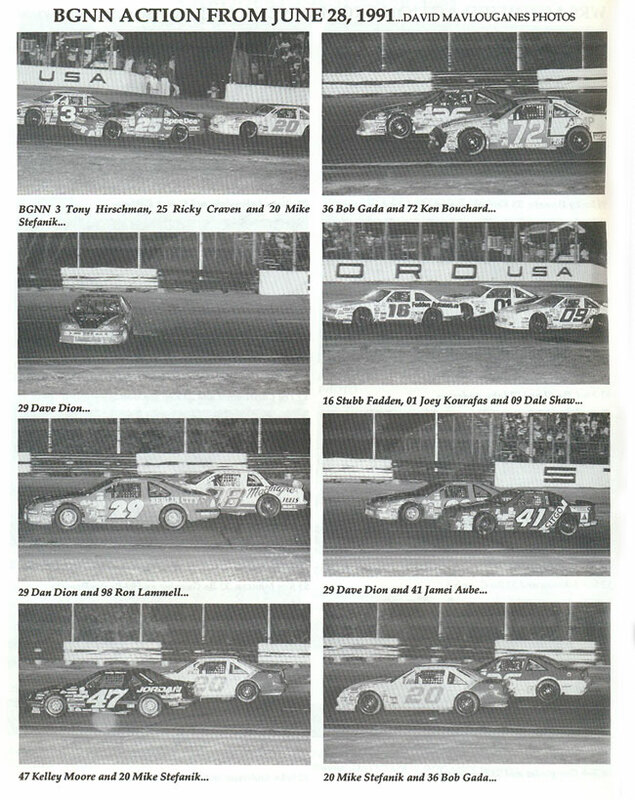 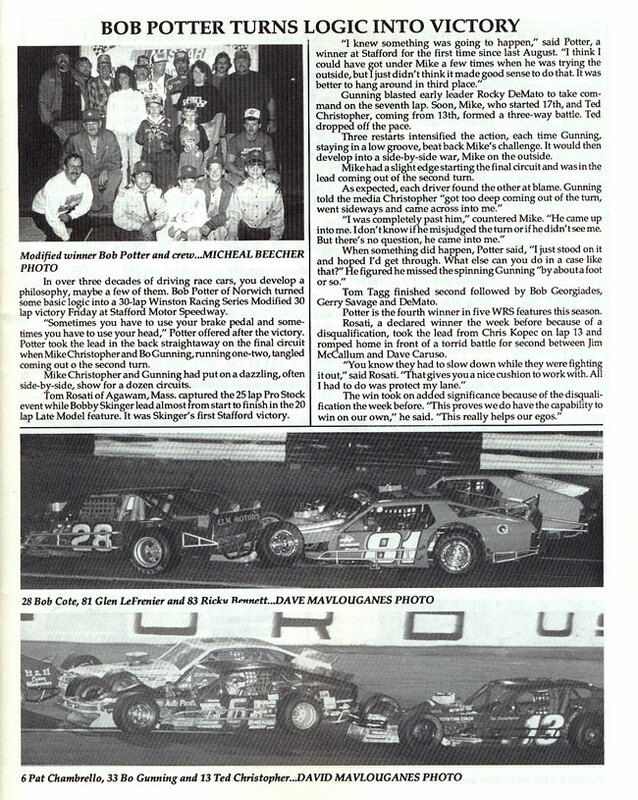 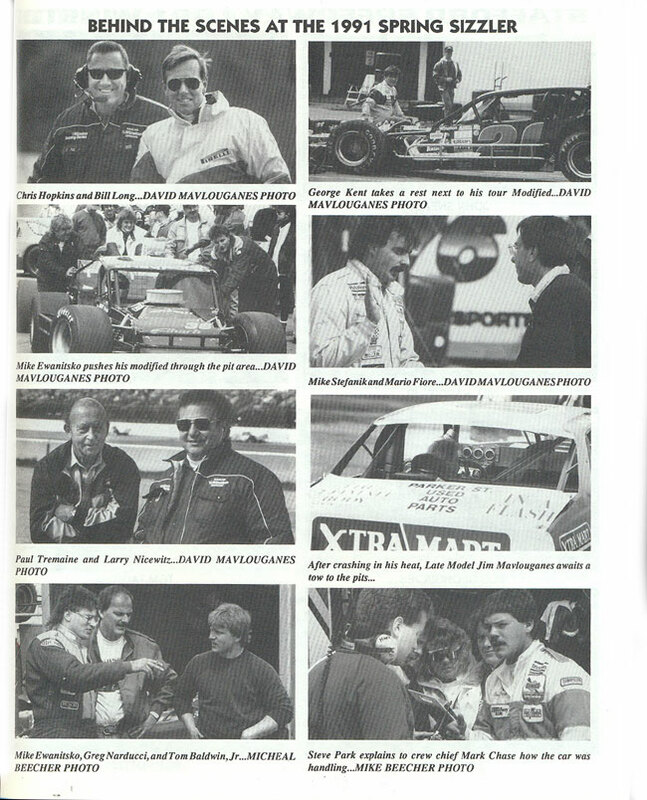 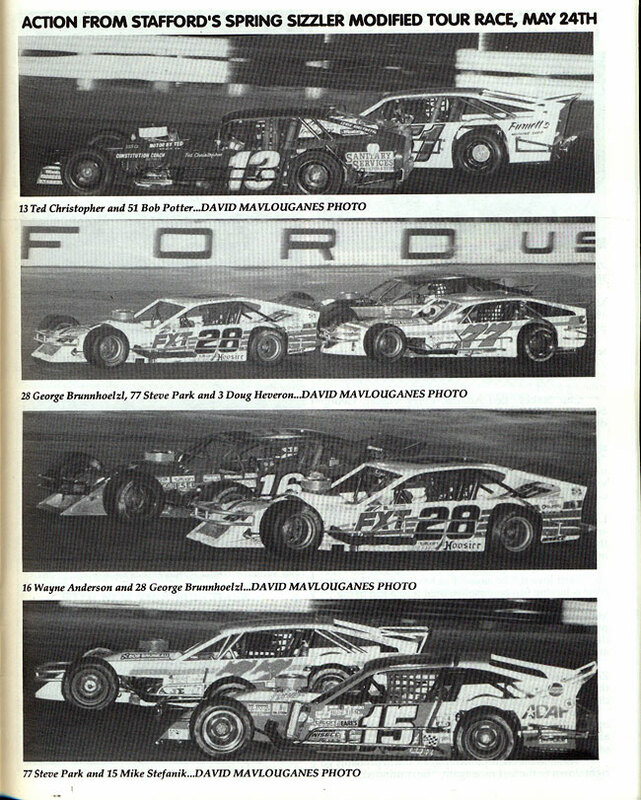 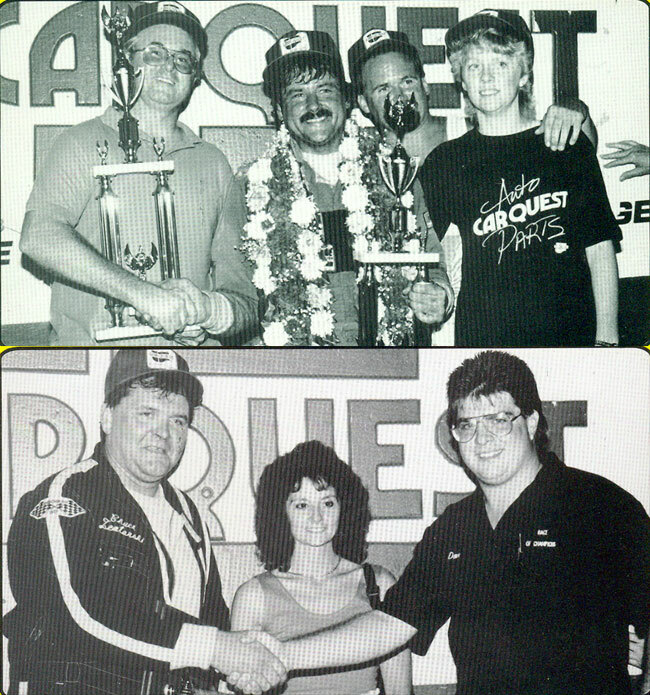 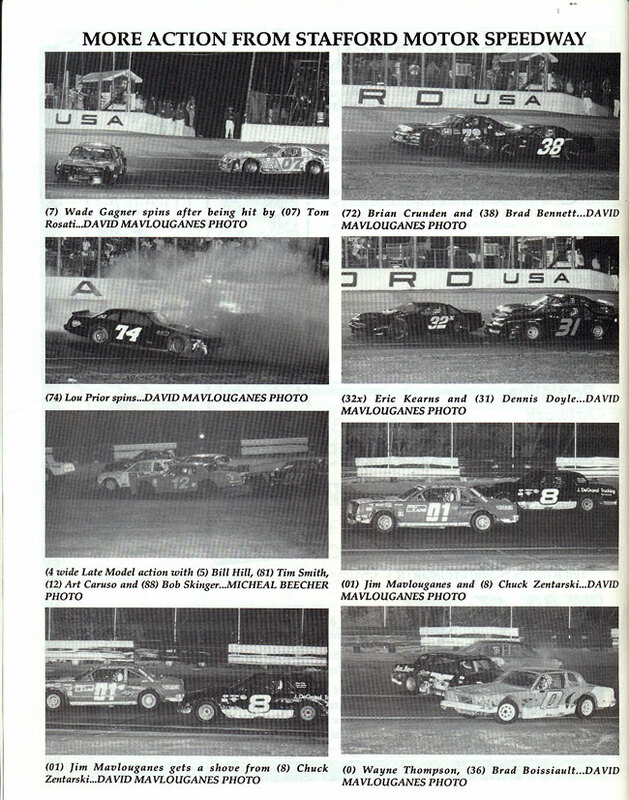 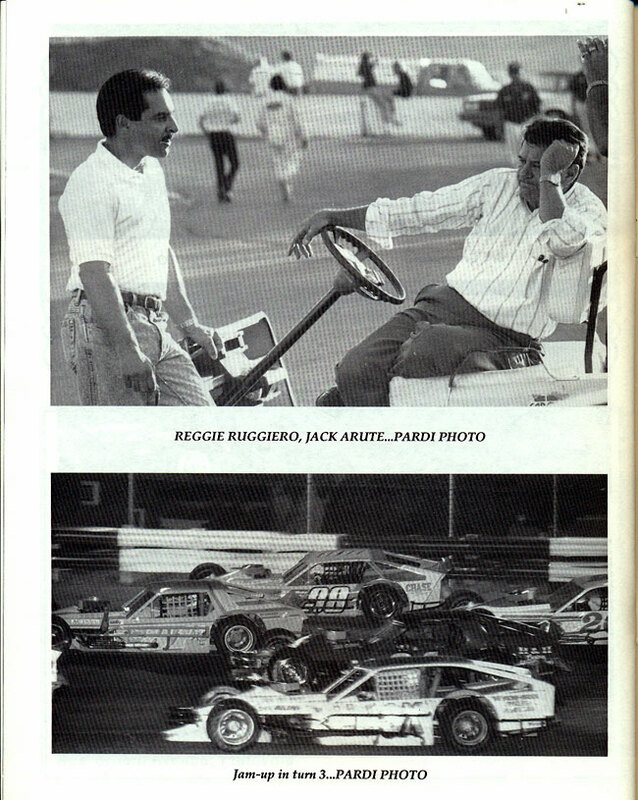 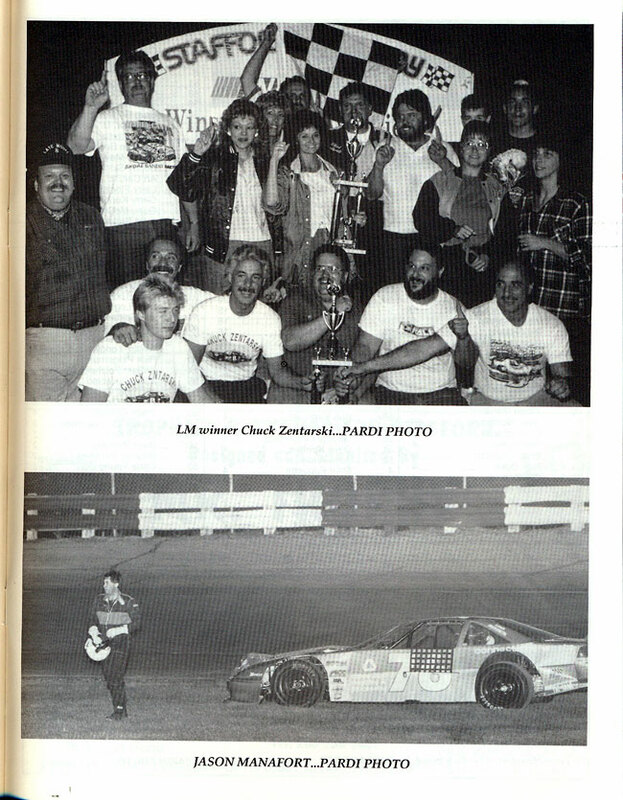 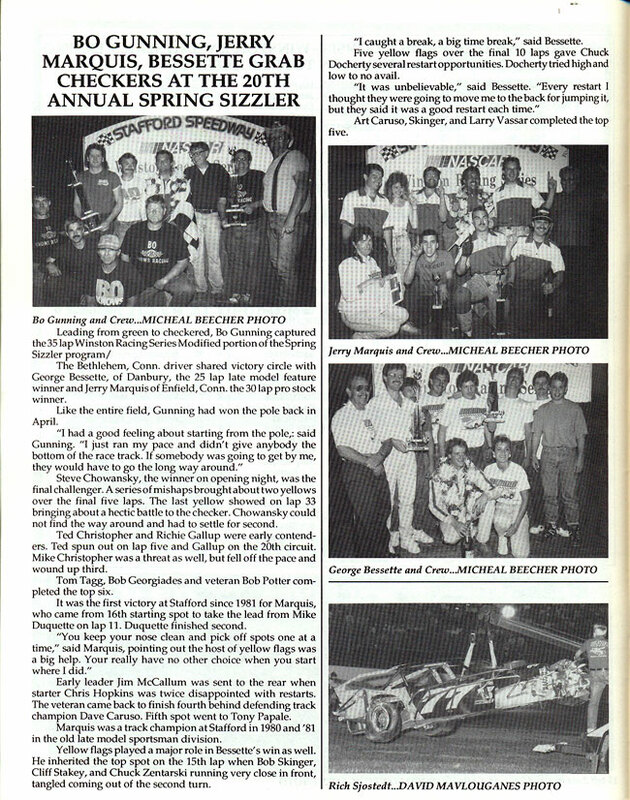 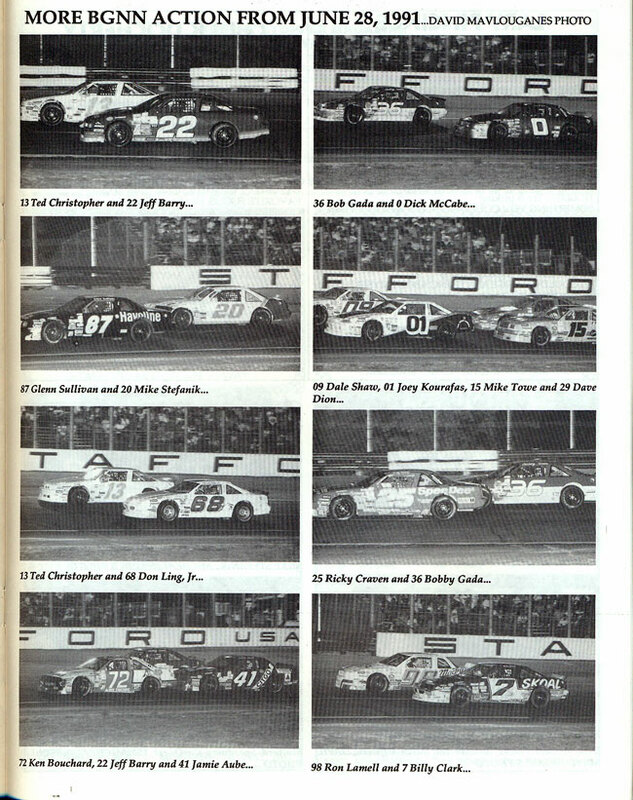 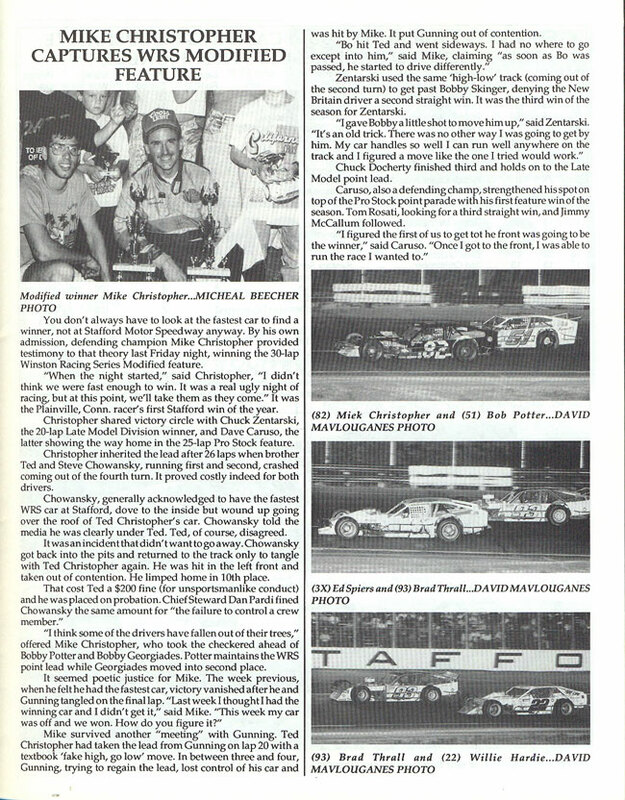 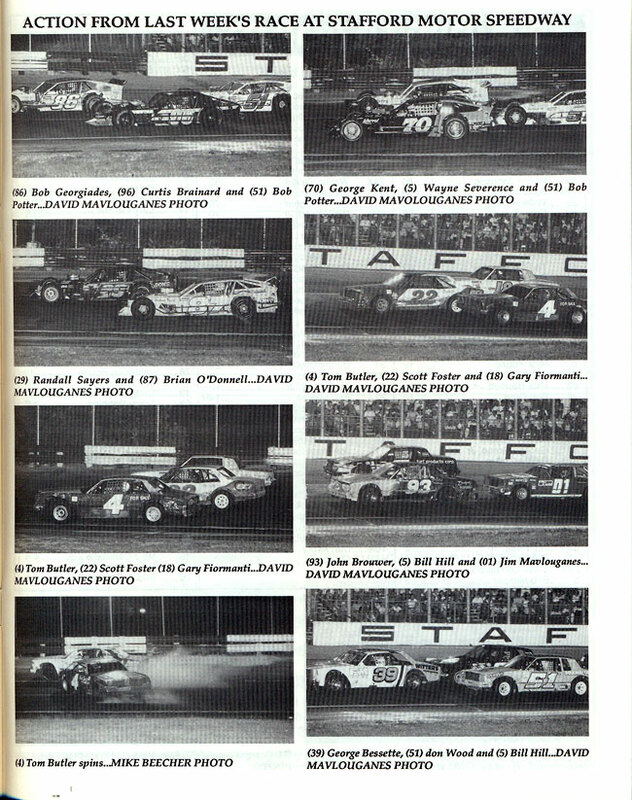 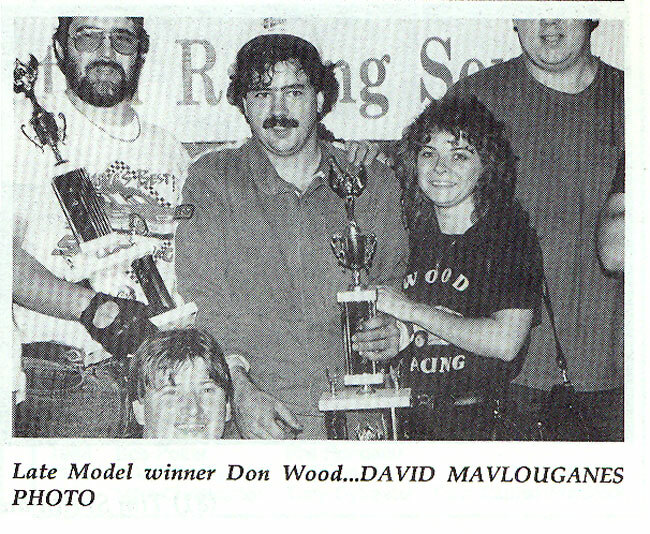 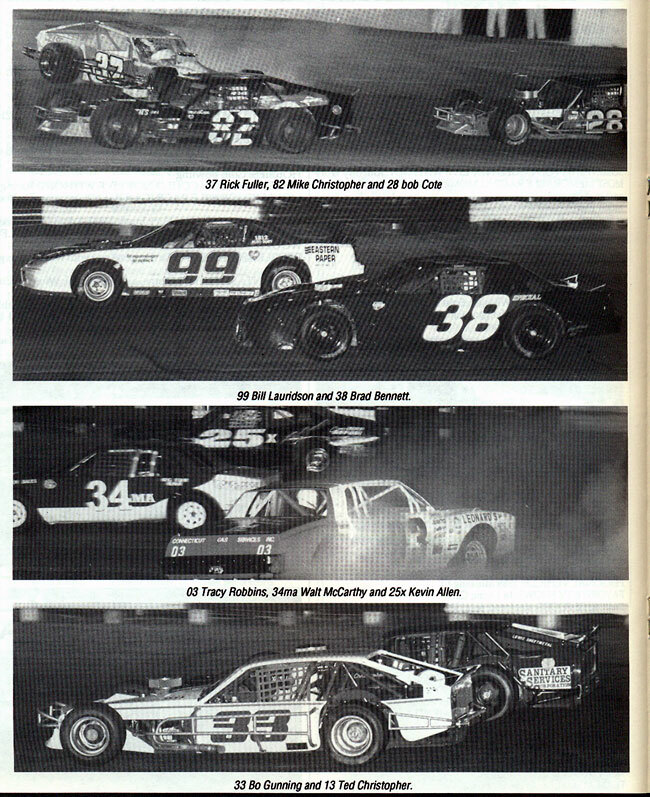 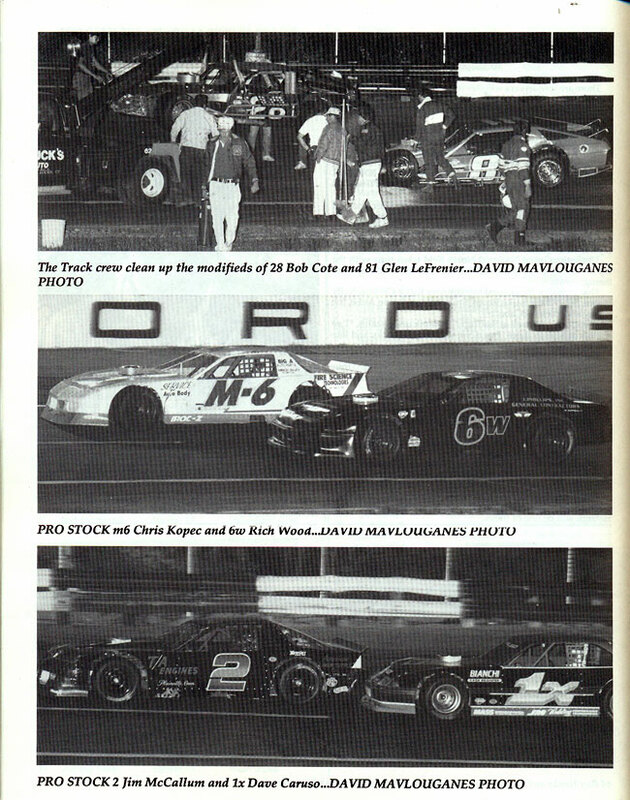 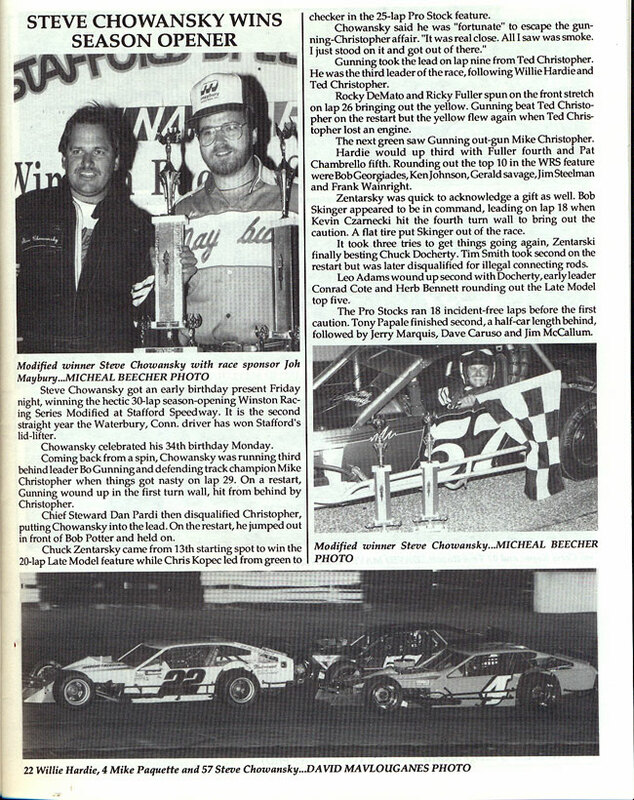 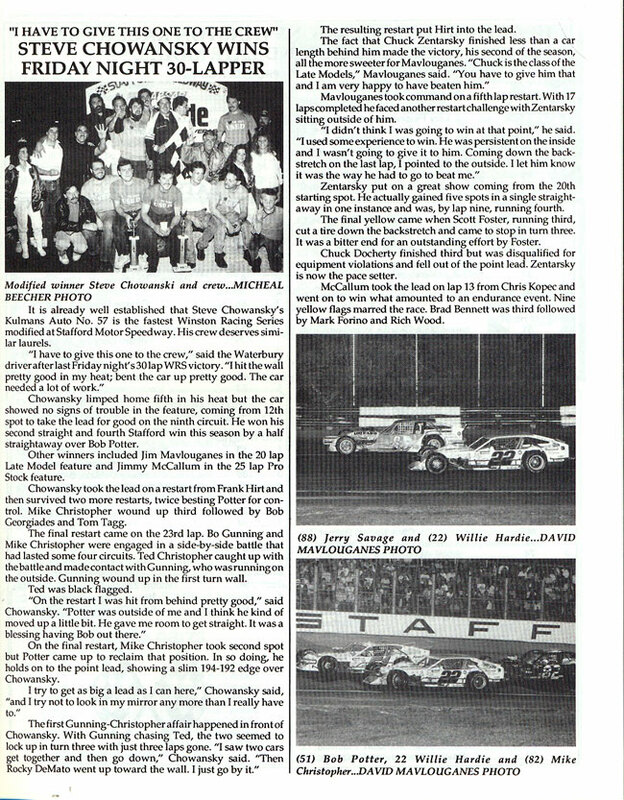 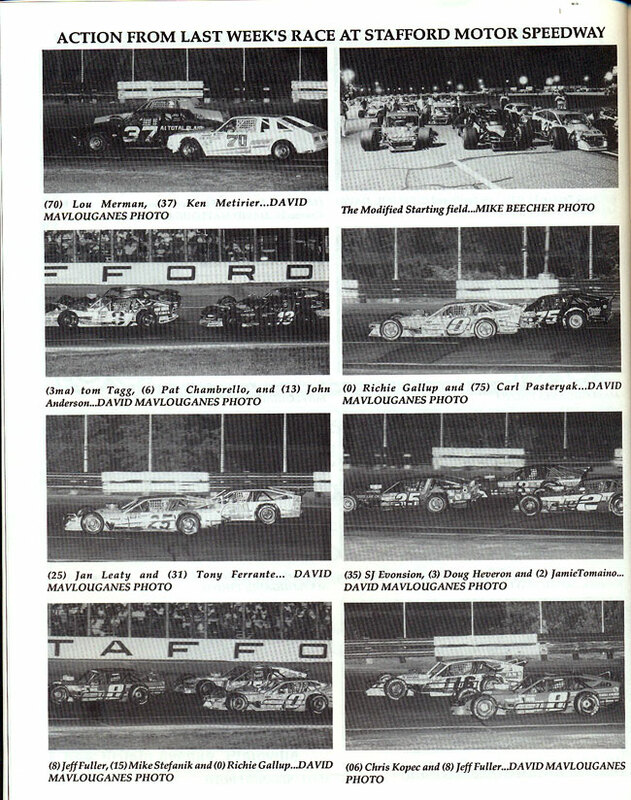 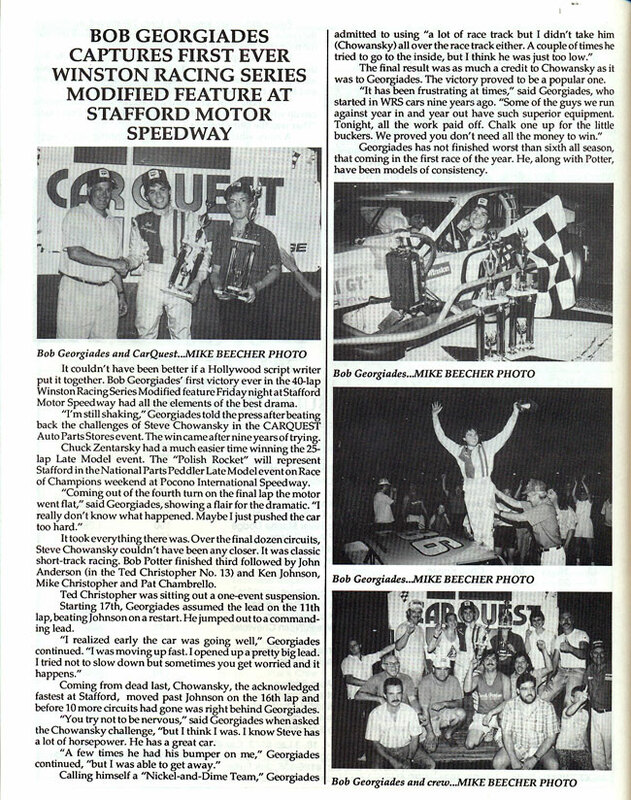 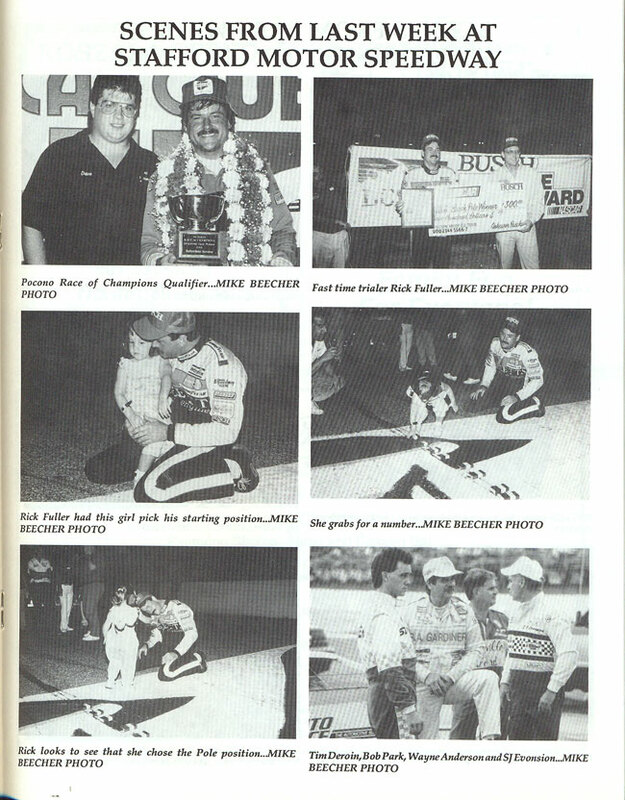 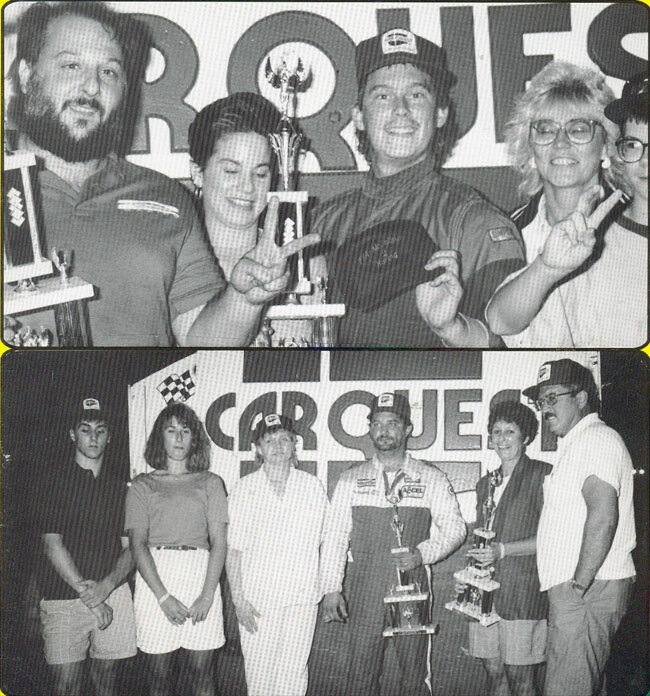 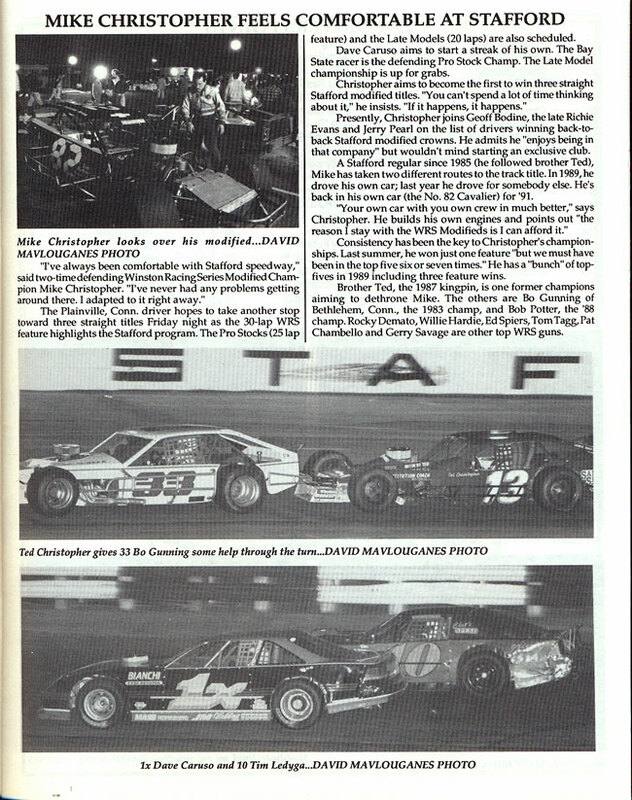 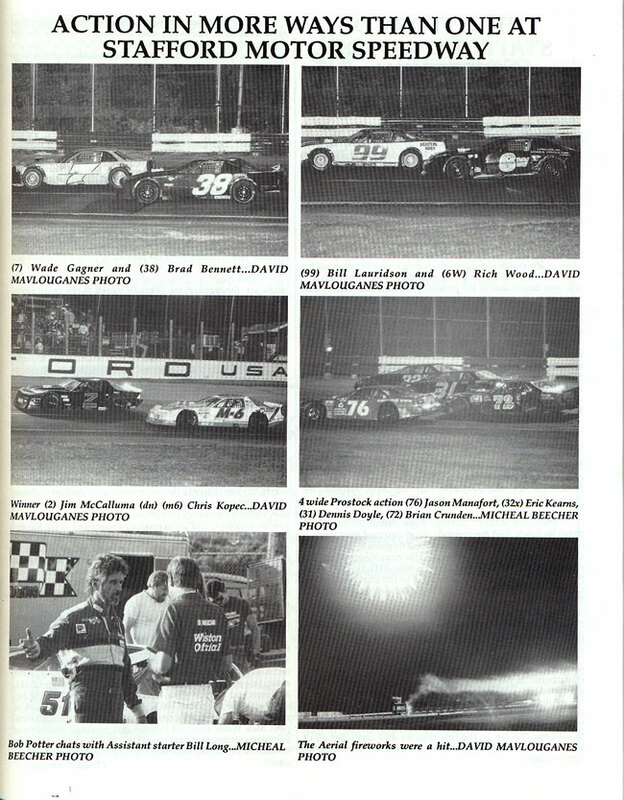 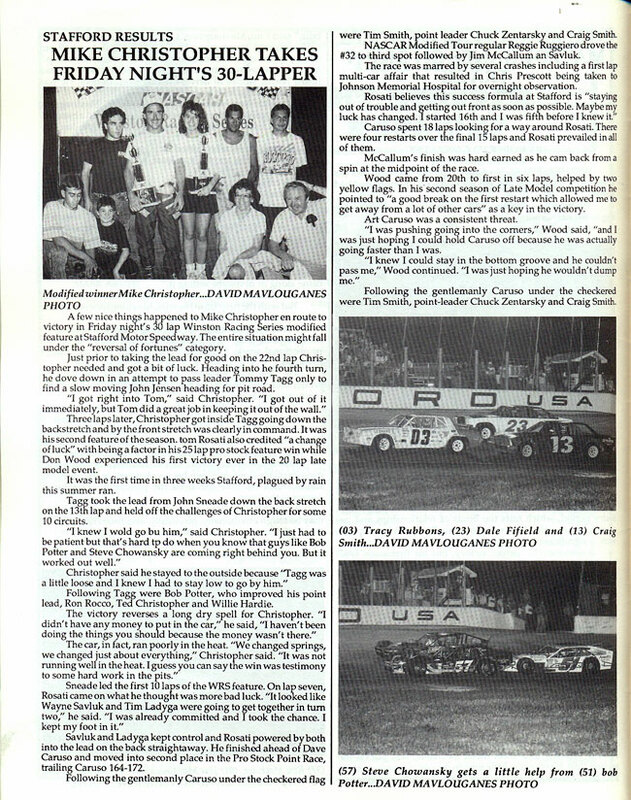 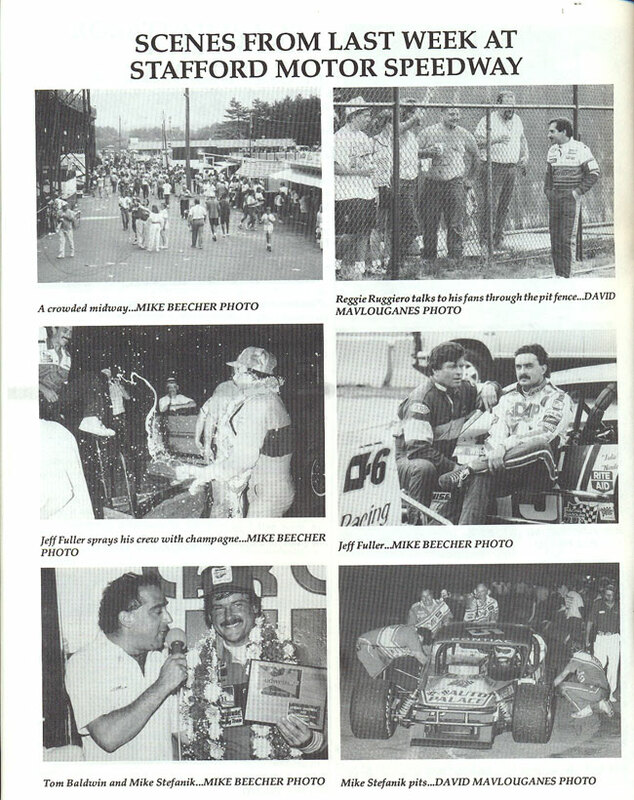 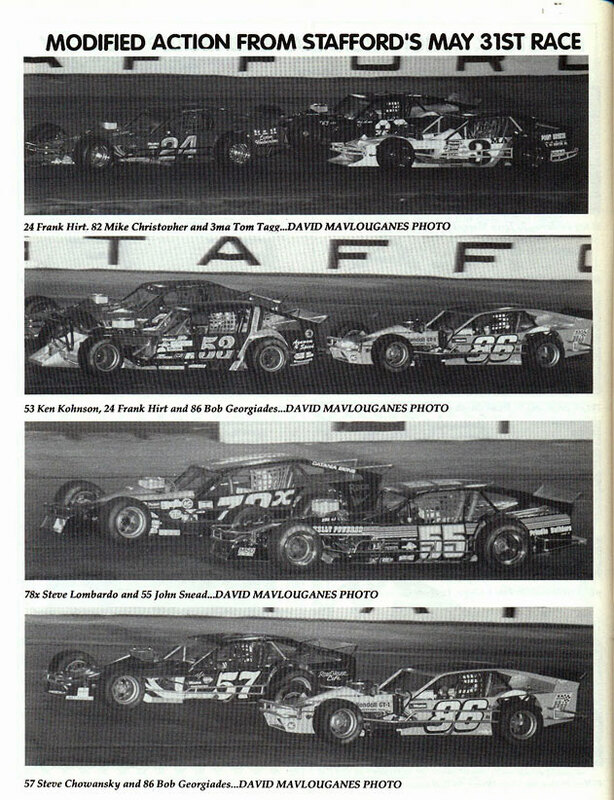 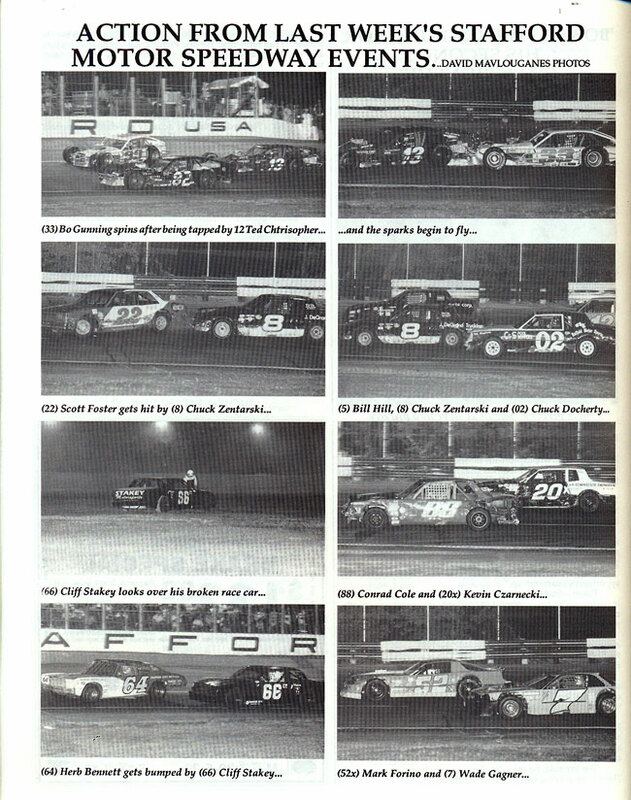 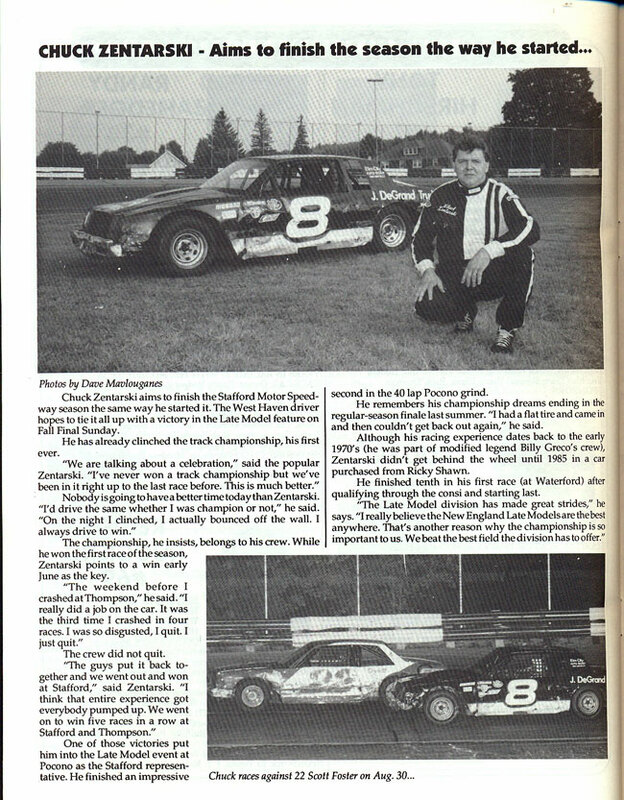 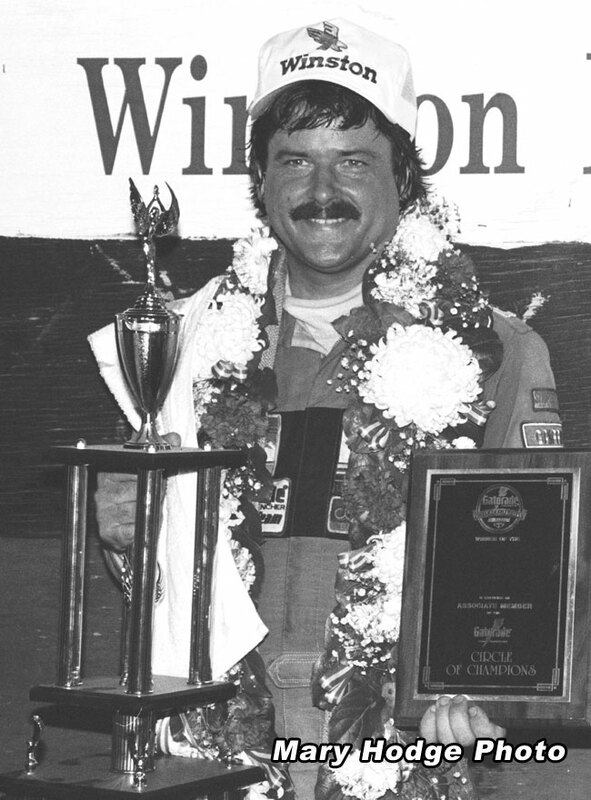 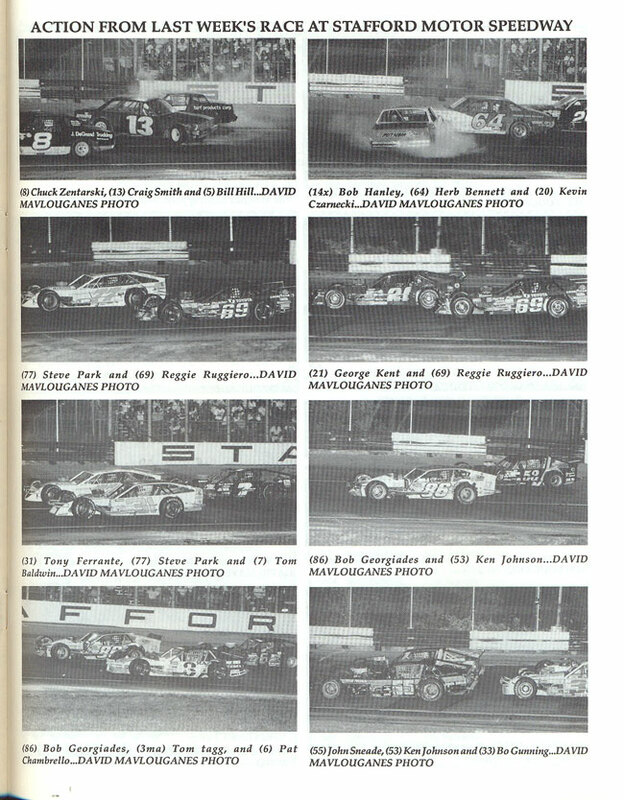 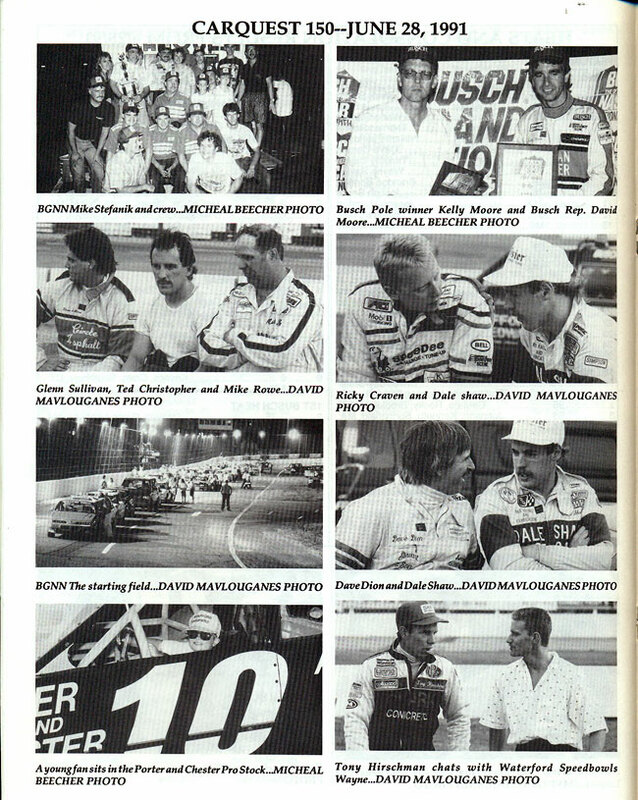 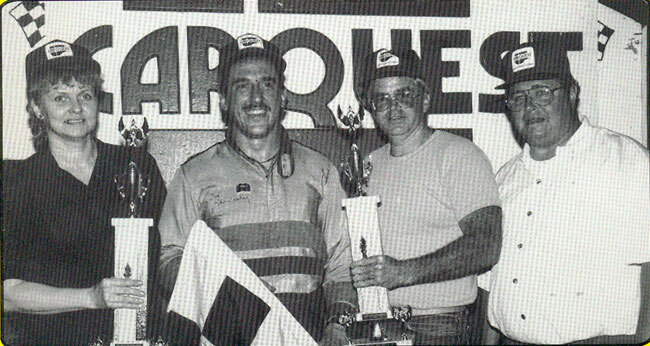 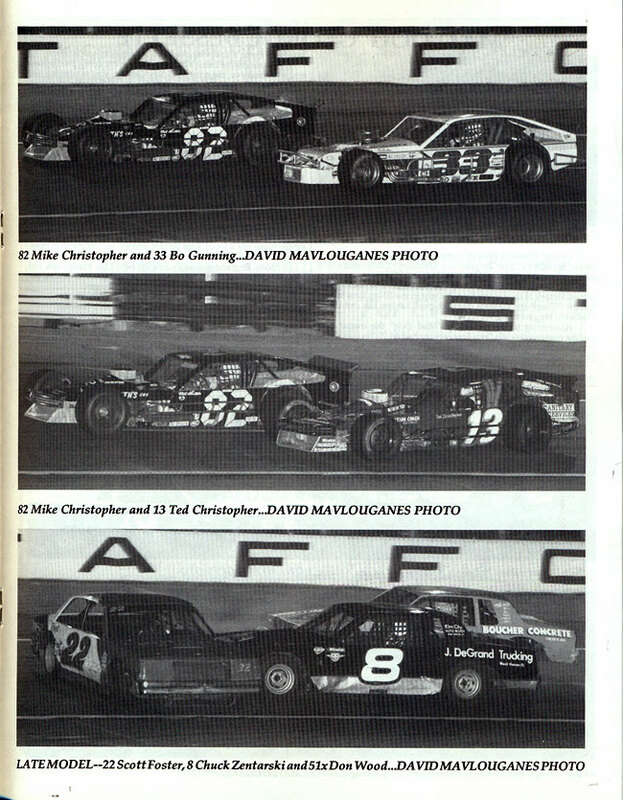 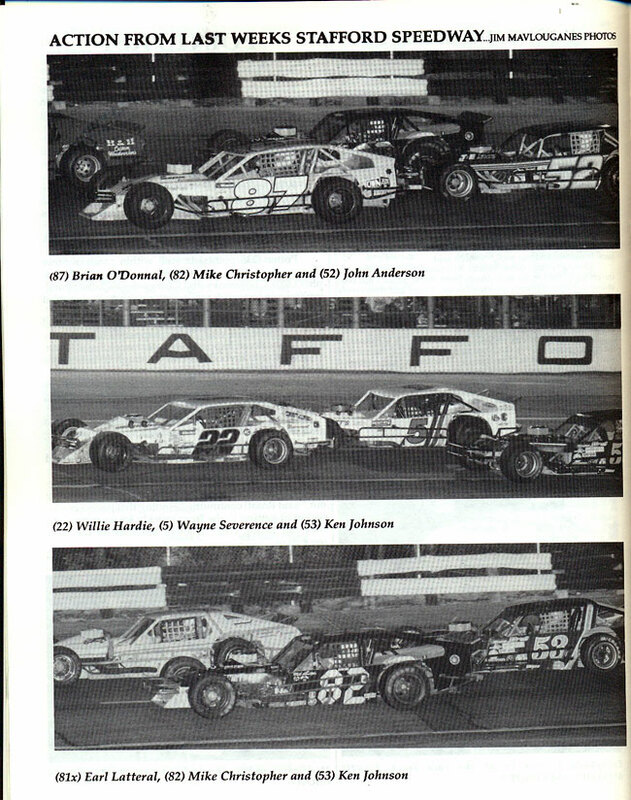 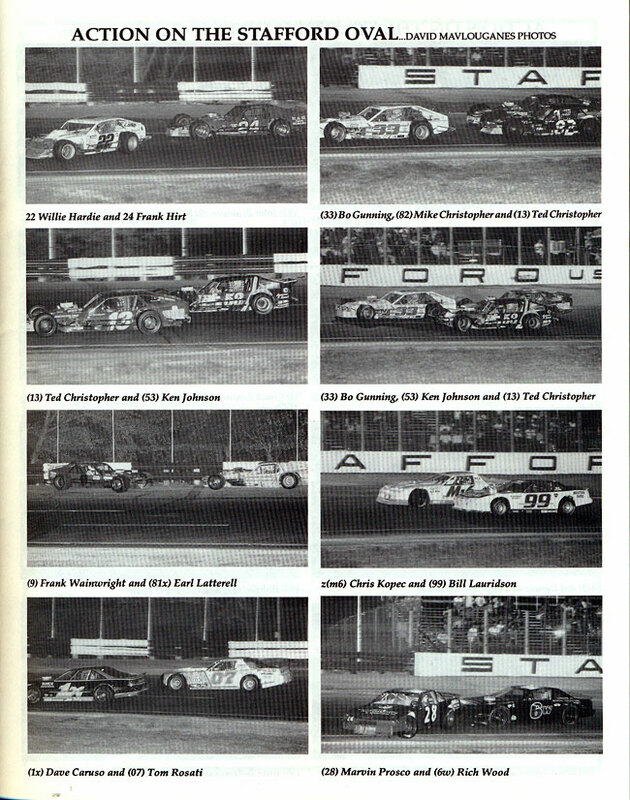 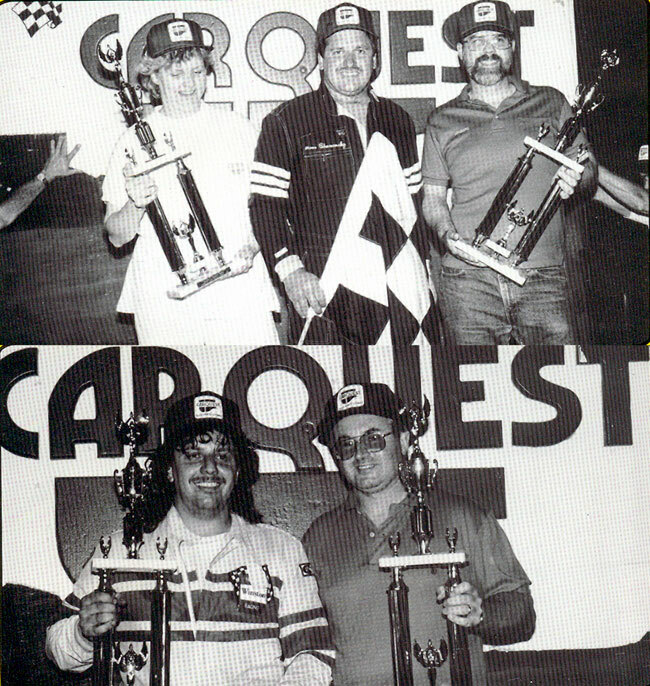 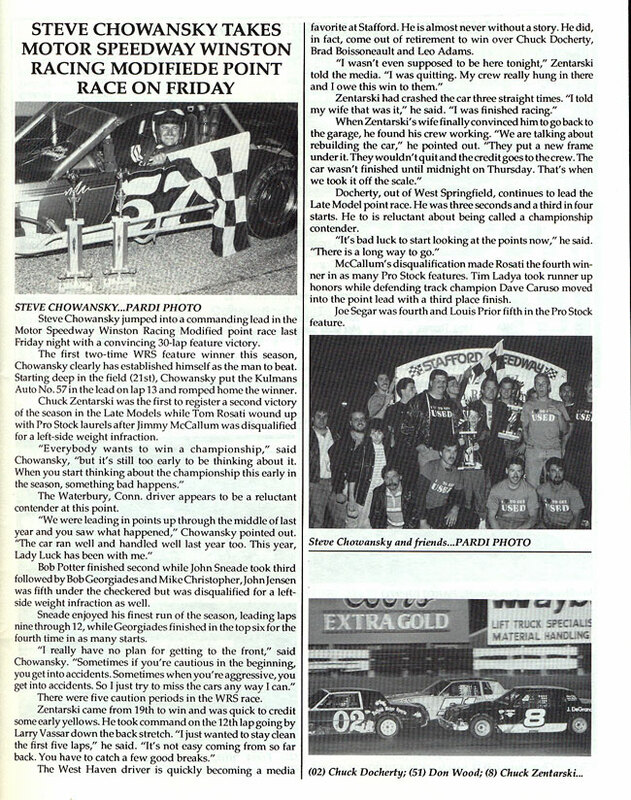 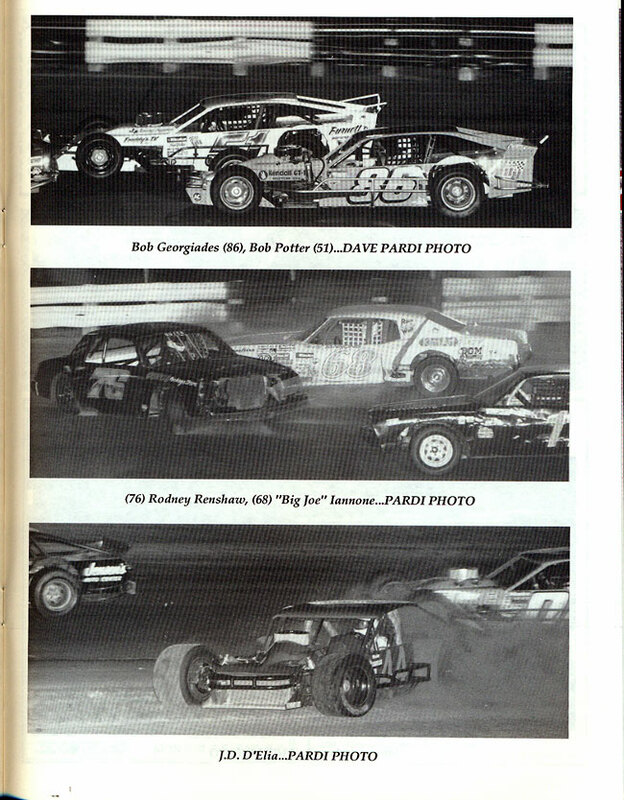 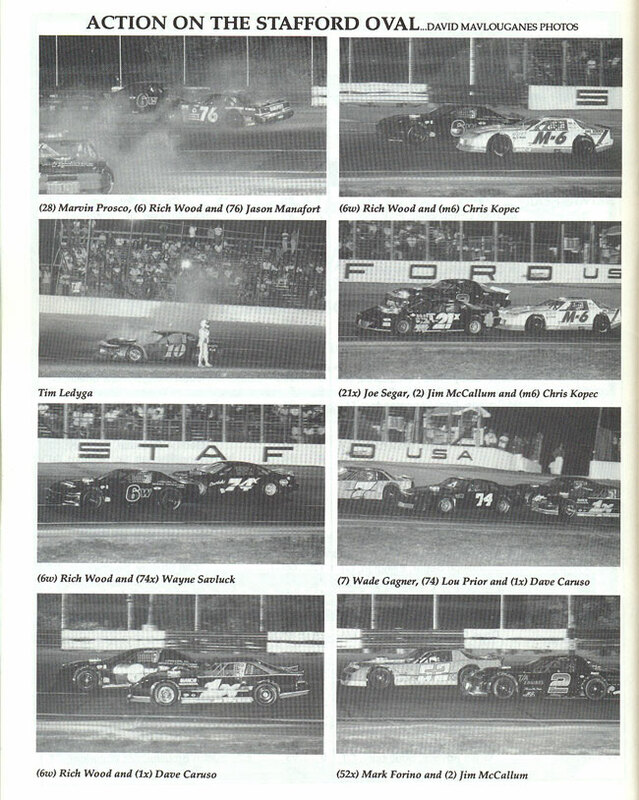 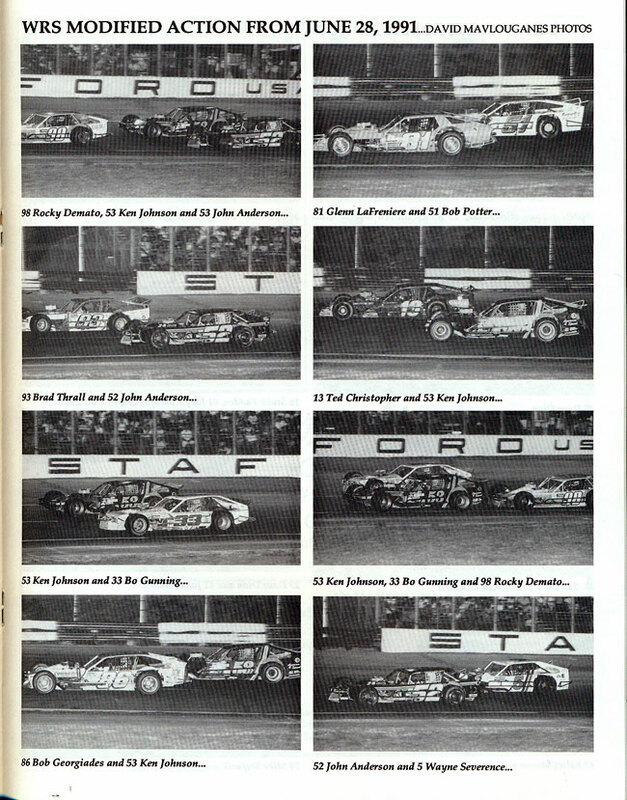 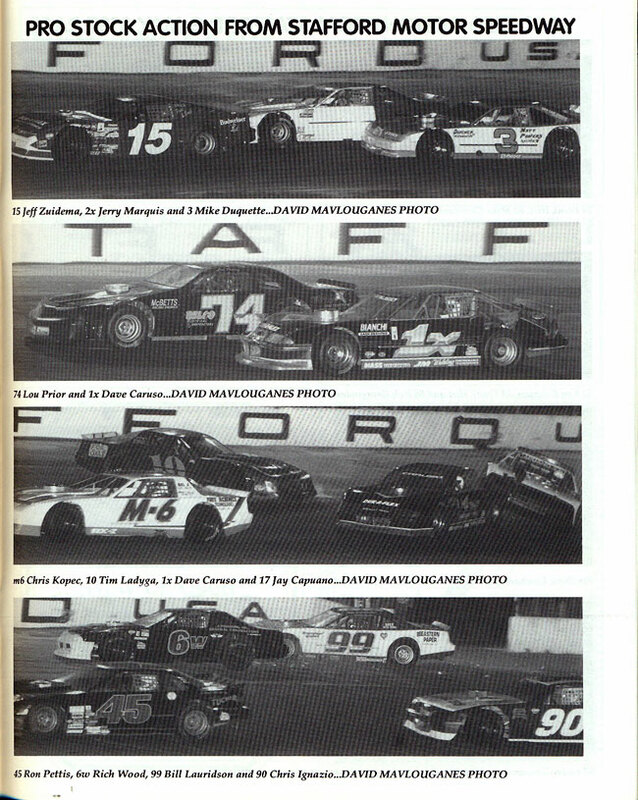 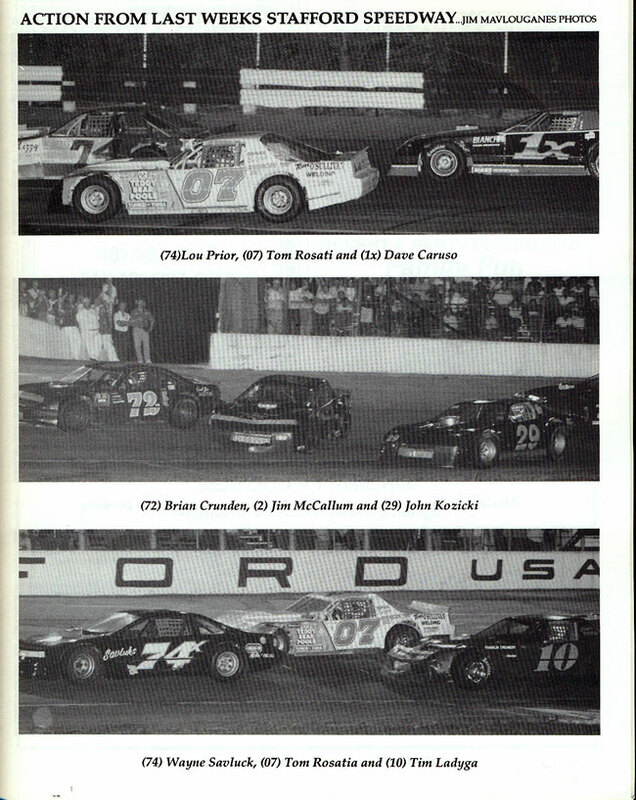 The Whelen Modified Tour made three stops to Stafford during the 1991 season with Jeff Fuller taking the CARQUEST Tech-Net Spring Sizzler and the CARQUEST 150, while Tom Baldwin came home the winner at the season ending CARQUEST Fall Final.